t a l l s ® are the definitive leader in shoe lifts. Our inserts provide the greatest height increase available today with a 1.5" to 2.1" height increase. Our distinct design helps to stabilize your foot and add height with a full-length foam core that provides support and comfort for every step. Our extraordinary orthopedic design includes our max air technology, comfort contoured anatomical heel cup, adjustable heel-lift, and a breathable microfiber top layer. Free standard shipping on all orders, returns and exchanges. Includes a moisture wicking microfiber top layer which works to keep our insoles dry and cool while providing lasting comfort all day long. 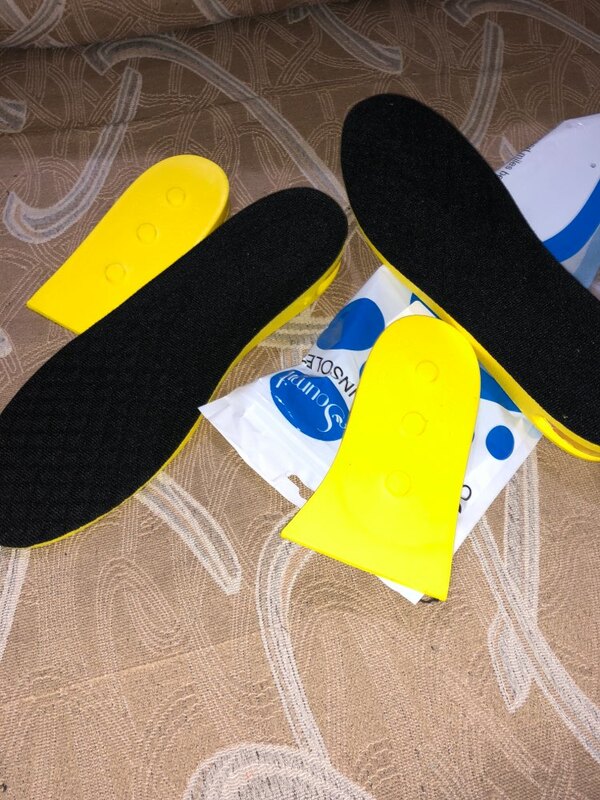 Unique max air technology that adds additional cushion, absorbs impact, and helps keep our insoles light as a feather. Features a comfort contoured anatomical heel cup which ensures maximum support while conforming to the unique shape of your foot. 0.6” inch detachable heel allows you to customize your height to fit any shoe or situation. Both our small and large sizes can be custom cut to fit most any size shoe, sizes below. Our unique technologies combine to provide all day comfort, help align the spine, and provide increased stature.